Ok, this one just became my favorite gold nugget crystal specimen. This one has it all, cubes, octahedrons, trigons, wire gold, and all joined together in a spectacular natural formation. 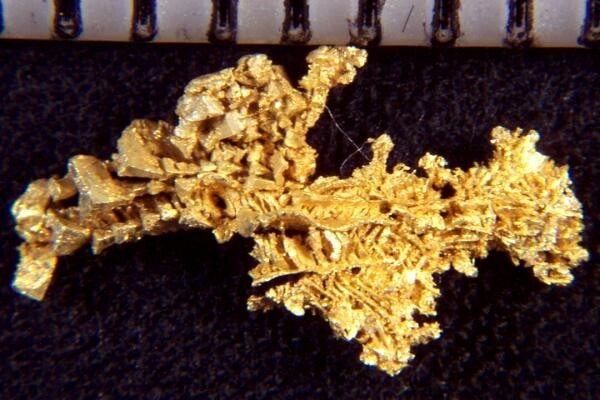 This truly exceptional gold specimen is from Round Mtn in Nevada. 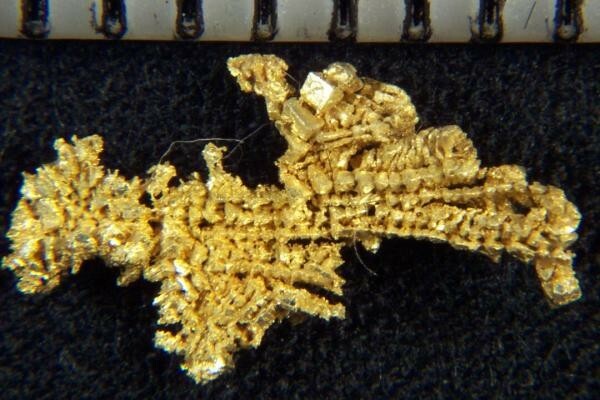 It is a one-of-a-kind rare and unique gold specimen! It is just under 1/2" (12 mm) long and comes in a plastic gem jar. It will make an amazing addition to your gold nugget collection.